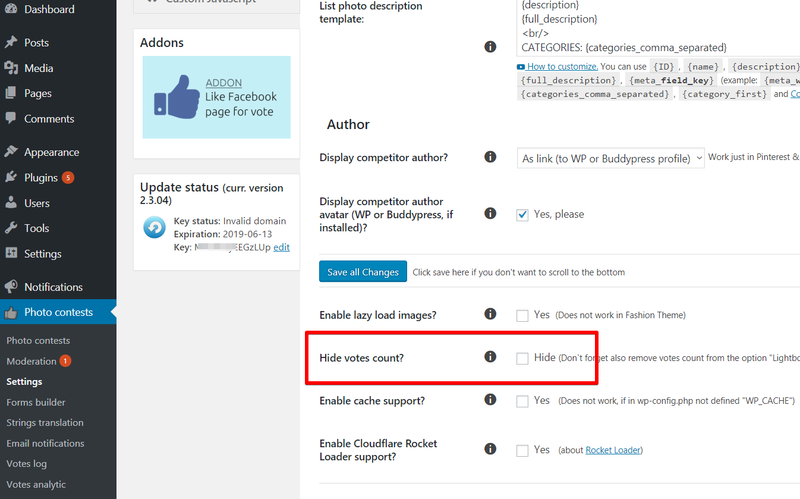 How to hide the competitors number of votes in a gallery? The first way is to hide all votes globally, for all contests. To do this, go to the Settings menu => tab “General” => find option “Hide votes count” and activate. The second way is to hide voices in a particular contest. 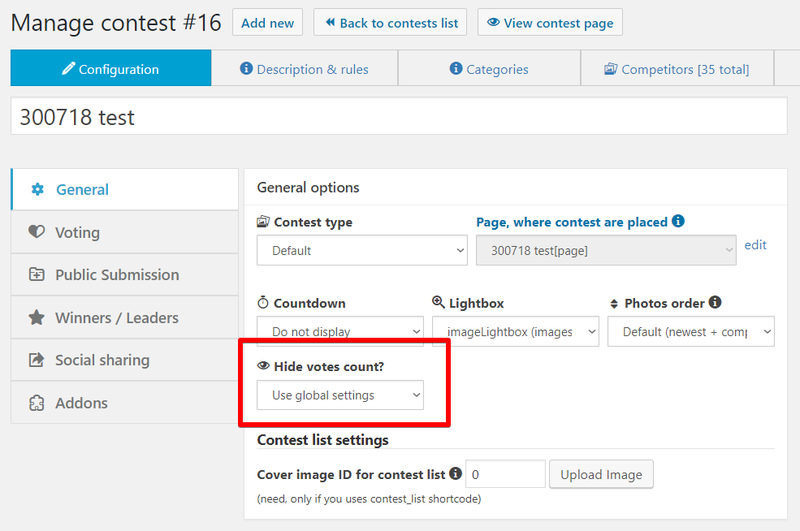 To do this, go to the configuration of the contest, the tab “General” – find the option “Hide votes count” and select “Hide”. After that, votes will not be displayed in the public gallery of the contest. Now only the administrator can see the number of votes in the admin panel.